A UK car accessory company has been fined more than £100,000 for selling counterfeit car products. 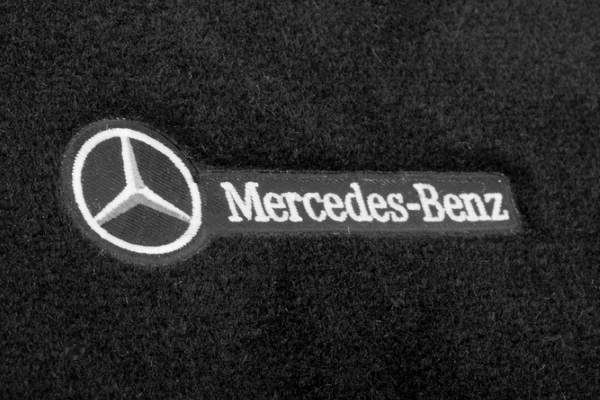 Euro Car Mats Ltd, based in the North-West England county of Merseyside, had been found selling car mats and other accessories featuring rip-off trademarks of car brands Audi, BMW, General Motors, Honda, Mercedes, Nissan, Renault and Suzuki. The products had been sold online, including eBay, to unsuspecting customers in the UK, the Southport Visitor reported. Euro Car Mats Ltd, which operates from premises on the Knowsley Industrial Estate, admitted 49 trademark offences and was fined £49,000 and ordered to pay prosecution costs of £54,000. The two company directors, John Blundell (63), from Formby, and Kevin Halford (56), from Maghull, denied 67 trademark offences. With focus directed to the company, no evidence was offered against the directors and not guilty verdicts were recorded, the Southport Visitor said. However, the court was told that the men had previously been convicted of similar offences in 1998 when the pair had been trading as Euro Hood and Car Mats. The illicit activity first came to light when investigations into Euro Car Mats Ltd began in January 2014 by BMW. The carmaker had been notified that suspect car mats were being sold on eBay that were infringing the firm’s trademark, leading BMW to hire private investigators to look into the claims. The Knowsley Borough Council was later brought in to investigate. After an 11-month investigation, the Knowsley Industrial Estate premises were raided in November 2014 where investigators found 12 aisles of floor to ceiling racks in a rear storage area containing fake car accessories, such as car mats and boot tidy bags, that featured registered trademarks. Officers also seized sewing machines and steam irons that were used to apply the fake fabric brand names, as well as computer equipment with sales and financial records. It was revealed that Ford Motors had already been in touch with Euro Car Mats Ltd, sending a letter to the company in January 2013 warning it to stop using Ford trademarks. The company acceded but continued to trade other knockoff products that infringed the trademarks of other carmakers. Financial figures revealed during the court case showed company turnover in 2014 was £396,000 with a profit of £43,000. Judge Neil Flewitt QC called the scam a “relatively sophisticated offence involving a significant degree of planning”. He said Euro Car Mats Ltd had “ripped off both the customer and the proprietors of the registered trademarks”, adding that “the motivation was purely financial, committed purely to increase the company’s profits”. The company has continued to trade lawfully since the raid, and has even increased its turnover and profits, the judge noted.